One of the most important parts of your day is the time that you sleep. In the old days, there was not much to keep our great grandfathers up at night. No television, smart phones, etc. People slept when they needed to and boy, was it dark. Unlike a bedroom today with bright digital clocks, TVs on timers, etc.. It is much easier to sleep in the dark. 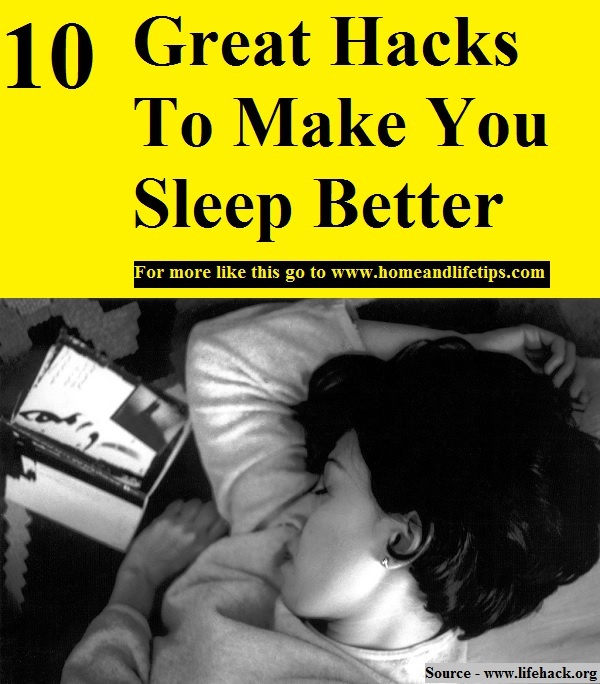 Thanks to lifehack.org for these 10 great sleeping hacks. Follow the link below to learn more.